Meet the new She-Ra! Dreamworks releases teaser trailer for the new series! Nightwing swoops into Screw Attack’s DEATH BATTLE!! 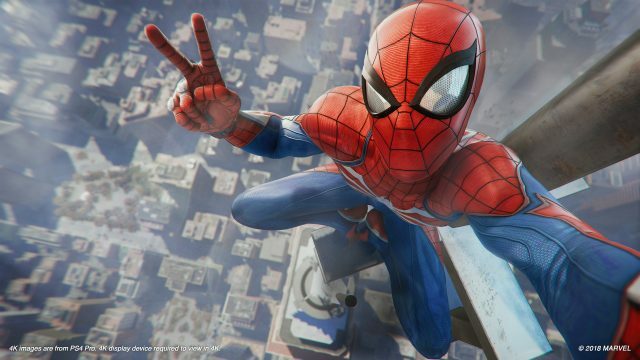 Spider-Man takes the title as the fastest selling game on PS4 in UK!! Well, there was little doubt that Marvel’s web slinging hero would swing himself to the top. Spider-Man, the superhero game developed by Insomniac Games, dethrones Kratos and all his godly might as the fastest selling game on the PS4 to date according to sales in the United Kingdom. The game sold nearly twice the amount of copies as God of War did in the same timeframe when Santa Monica Studios’ eighth installment of the series launched in April 2018. Spider-Man has also taken down Crash Bandicoot N.Sane Trilogy, Shemune and F1 2018. The game could also help push the PS4 console to the top of the sales chart should its pace continue. While at the moment there are no reports of the game’s performance in North America, there is little doubt that we couldn’t see Spider-Man doing the same in our own backyard. Below is a list of the top selling games in UK as of September 8, 2018.